London: A simple blood test could predict rheumatoid arthritis risk up to 16 years before the onset of the painful and debilitating condition, Oxford scientists say. The blood test looks for antibodies that recognise the protein tenascin-C and could reliably identify those who will contract rheumatoid arthritis (RA), researchers said. When inflammation occurs in the body, some proteins are altered in a process called citrullination. 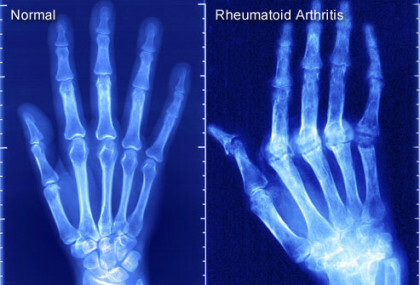 These altered forms can prompt an immune response from the body, which can see it turning antibodies on itself – causing rheumatoid arthritis. Tests that spot antibodies to citrullinated proteins are already used to diagnose the disease. While tests for individual proteins usually have a relatively low diagnostic sensitivity, a more general test called CCP, that detects synthetic citrullinated peptides, identifies a lot more RA cases. “We knew that tenascin-C is found at high levels in the joints of people with RA. We decided to see if it could be citrullinated and, if so, whether it was a target for the autoantibodies that attack the body in RA,” said lead researcher Anja Schwenzer, from University of Oxford. “That might also indicate whether it could be used in tests to indicate the disease,” Schwenzer said. “When we looked at results from more than 2,000 patients we found that testing for antibodies that target citrullinated tenascin-C (cTNC) could diagnose RA in around 50 per cent of cases, including some cases not identified by CCP,” she said. “It also has a very low rate of false positives – it is 98 per cent accurate at ruling out RA,” she said. “What is particularly exciting is that when we looked at samples taken from people before their arthritis began, we could see these antibodies to cTNC up to 16 years before the disease occurred – on average the antibodies could be found seven years before the disease appeared,” said Kim Midwood, professor at Oxford’s Kennedy Institute of Rheumatology. “This discovery therefore gives us an additional test that can be used to increase the accuracy of the CCP assay and that can predict RA, enabling us to monitor people and spot the disease early. 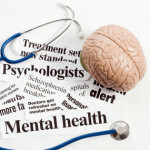 This early detection is key because early treatment is more effective,” Midwood said. “When it comes to rheumatoid arthritis, early diagnosis is key with research showing that there is often a narrow ‘window of opportunity’ following the onset of symptoms for effective diagnosis and control of disease through treatment,” said Stephen Simpson, Research Director for Arthritis Research UK. “This latest research provides the basis of tests that could improve diagnosis and, importantly, detect disease at a very early stage, with the promise even that people at risk of developing rheumatoid arthritis can be followed before the disease begins,” said Simpson.